The Omnipure Inline Water Filter CL10ROT33-B received certification by NSF against NSF/ANSI standard 42 for the reduction of Chlorine, Taste and Odor. 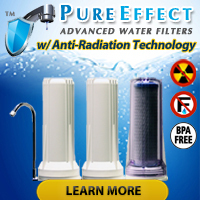 This filter uses granular activated carbon to reduce chlorine, taste and odor from your drinking water. Economically priced at around $14, the Omnipure CL10RO T-33 Inline Filter has a 0.5 Micron, a water flow rating of 0.5 gallons per minutes, can handle water pressure up to 125 PSI, and has a life expectancy of 1,500 gallons or approximately 12 months. You can use the Omnipure CL10RO T-33 Inline Filter in place of the Ametek INCF-10, Omnipure K2533 BB, and P3916. This filter also replaces the following inline filters: Honeywell RF-66, Kenmore 46-38447 and Kenmore 4638447. The Omnipure CL10RO T-33 Inline Filter also works as Stage 5 of the 5-Stage PuROLine 5000 Reverse Osmosis System. How Do I Know if I Have Chlorine in My Water? Most often we hear, “How can I get rid of the chlorine taste/smell in my water?” but sometimes people have such low amounts that they cannot tell for sure if they have ANY chlorine in their drinking water and/or they have an impaired sense of smell and cannot detect the chlorine odors… but know they don’t want to drink it regardless of whether or not they can smell or taste it. The easiest way to test chlorine levels in drinking water, Chlorine Test Strips, and at this time we recommend using test strip products from two manufacturers: SenSafe and Watersafe. 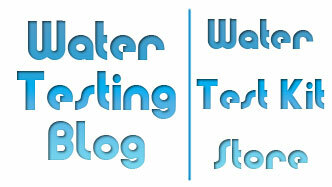 « Old Sewer Lines Can Threaten Water Quality?